Builder Boost is proud to partner with top San Antonio homebuilders; this gives San Antonio Real Estate Agents access to weekly information that can be difficult and timely to find. New home inventory, agent and buyer promotions, events and news can all be found in the digital Builder Boost Book. 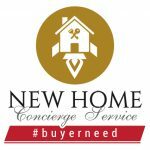 Real Estate Agents can also quickly find Buyer Needs with the New Home Concierge Service! Just one submission connects you to the area’s top homebuilders. Armadillo Homes is a Texas-based, family-owned company. Throughout the past 43 years, they have been committed to one goal, helping families achieve the ``American Dream`` of home ownership. At Ashton Woods, they believe every home tells a story. Through their collaborative approach and countless ways to personalize your home, they ensure that they tell the story of your home just right. Bringing remarkable home designs with exceptional value to the greater San Antonio area since 2005, Bella Vista Homes includes functionality and home building expertise in each home. Their passion is creating quality, affordable homes in convenient, family-oriented communities. When you choose Centex to build your new home, you get the benefit of more than 65 years of homebuilding experience. Our dedication to quality means that we strive to exceed homeowner expectations every step of the way. At Century Communities, they know it takes hammers and nails to build a house but it also takes passion, vision, integrity and quality to create YOUR home. Their homes are where memories are made, families are raised and stories unfold. When you choose to build in a Del Webb community, you get the benefit of more than six decades of homebuilding experience. With homes designed for how you live with the features that matter most to you, backed by a warranty you can rely on, the Del Webb difference is clear. At Gehan Homes, they offer thoughtful, sophisticated, valuable design options that can be personalized to suit your individual needs and tastes. Gehan homes are built to last - and designed with amenities you will continue to appreciate for years. As part of the Gehan Homes family, Gray Point Homes is backed by over 25 years of homebuilding experience. By creating more efficient floor plans and building on a smaller footprint, they build new, energy-smart homes that bring the dream of homeownership to more people than ever before. You can be certain that Highland Homes remains committed to providing our customers the highest quality homes and service and ensuring each Highland homeowner realizes their American Dream. From energy saving construction to stylish exteriors to trending interiors. You want a home that fits your lifestyle AND your budget. At Horizon View Homes, we understand. We are here to help you find a home that will suit your needs and the needs of your family. We are confident that we can help you find exactly what you’re looking for. Imagine Homes is leading the nation in new green building technology. Their national award-winning system delivers high performance new homes to San Antonio home buyers that result in savings of over 50% on new home heating and cooling costs. The company’s mission is to build upscale new homes in San Antonio, Texas and the surrounding areas. Their new homes are designed for today’s lifestyle with unique architecture and leading edge technologies using modern materials while creating more energy efficient new homes. They want to build you the home you've always dreamed of. The home that's been coming together in your imagination for years. The backdrop of your future memories. And they want to build it well, at a price you can afford. At Liberty Home Builders, they take pride in building their houses, just as much as you take pride in raising your family in the most beautiful home you can provide. They don’t simply build beautiful new homes. They create the framework for a better way of life. This means making homes that are quieter, cleaner, healthier, smarter and safer. It means energy efficiency that provides significant savings on utility bills. M/I Homes has been building new homes of outstanding quality and superior design for more than 40 years. M/I Homes has fulfilled the dreams of nearly 100,000 homeowners. What started as a family business, M/I has grown into a national leader. Live the life you've earned in a place you love, inside and out. Every luxury Monterey home provides you more of what you want most. Private communities, exclusive locations, energy-efficient innovation, and thoughtful designs personalized by you. Perry Homes recognizes that your home is your safe-haven. It’s where you create life-long memories, experience life events, welcome home your kids from college and meet your first grandchild. Their homes embrace timeless architectural traditions, with elegant exteriors, open flowing interiors, and luxurious details. Princeton Classic Homes offers you the opportunity to build a luxury home within your means. Every new Pulte home is built to our high standards, and yours. Developed using strict quality control measures, combined with feedback from current homeowners, this step-by-step process ensures attention to detail and delivers a home you’ll be proud to call your own. Innovative designs, custom features, desirable locations, high quality construction and energy efficiency earmark the standards for which Scott Felder Homes is best known. They choose to build homes in the best neighborhoods with outstanding amenities and great school districts.